This local doctor’s office received cabinet replacement quotes in the $6,000 range. 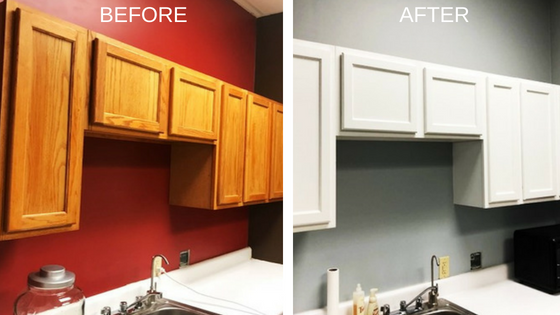 But, while our professional painters were painting their interior walls, the client asked if it was possible to also paint the cabinets. 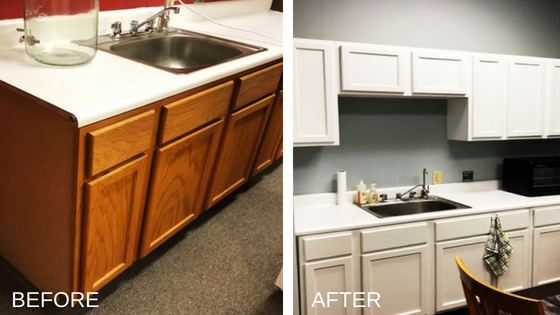 For just $1,000 we got their cabinet painting job done! Notice the difference of the walls and cabinets now! White paint on wood cabinets can work wonders when completed by professional interior trim painters.